1. Hugas de Batlle. 2. Espelt. 3 Raspa & Wine. 4. Tots Som Pops. Photos coutesy of the wineries and restaurants. The most eastern point on the Iberian Peninsula, Cap de Creus is typically associated with rugged beauty, a natural park, and/or the ever-present mention of Dalí's summer home in Port Lligat. This is the Cap de Creus of modern times and none of this is incorrect. Any journey by car from Figueres along the winding roads that dare to cling to the steep slopes will find you trying to avoid the ever-present cyclists while staring agape at a landscape roughly hewn by the wind and ages. What many might not know is that phylloxera had a great deal to do with the state of barren, natural beauty that we see as well. If one has the time, a hop across the French border to what was once Catalunya Nord will show how Cap de Creus once was. There, the hills and slopes are banked by well-maintained terraces that produce wines in the highly-regarded AOC's of Banyuls and Collioure. On the Spanish side, the region falls under the auspices of DO Empordà with crumbling terraces that one can only barely make out these days as they slowly disintegrate. What may have been partially replanted 100 years ago after the plague was then abandoned in favor of more lucrative tourism ventures in the second half of the 20th century. But, little by little these vineyards that had been decimated in the late 19th century by the Phylloxera scourge are being replanted with new vines and a new trajectory on quality wines from the region. The recuperation is not work for the faint of heart though. As it is a natural park, those who undertake this venture are highly restricted in their viticulture methods. Recently a group of them created an organization called Ceps de Cap de Creus (The Vines of Cap de Creus) to better emphasize their organic cultivation methods and explain the unique soils and locale of Cap de Creus. Many of us may dream of it but Núria Dalmau and Didier Soto acted upon their desires to find a rustic old stone house to restore for holiday stays in the region. 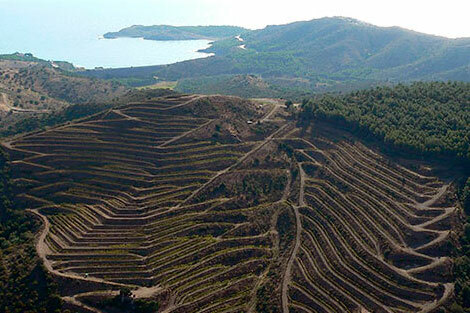 They ultimately found the 10th century Mas Estela near La Selva de Mar but what started as a small project took over their lives and in addition to restoring the masia, they also replanted the terraces with vines alongside the ancient olive trees that remained. The narrow valley in which the old home resides with the vineyards is striking, especially when the afternoon sea breezes pass through and give a jolt of salt-tinged air. With 25 years having passed since they started the initial work, they're at a point of showing just how remarkable this region once was and can potentially be in terms of wine. Farming both organically and biodynamically, they're part of the very restrictive wine association, Renaissance des Appellations. In addition to visits and tastings, they also have a small guest house for those truly looking to get away from it all. 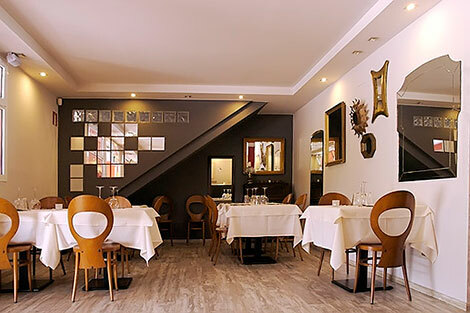 Celler de la Selva offers up tasty food in the village near Mas Estela. Seeing the unique potential, other winemakers planted vines and started wineries as well in Cap de Creus and the last 15 years have seen a small, yet sustainable rebirth. 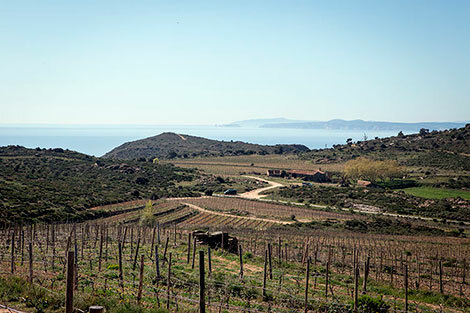 Martín Faixó and Espelt (both founding members of the Ceps de Cap de Creus group along with Mas Estela) lay claim to vineyards up on the higher plateaus of the cape. Hugas de Batlle has been carving out modern terraces in those that were abandoned. 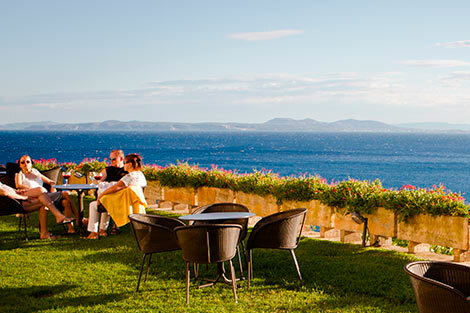 Martín Faixó is hard to miss as they sit at what is nearly the top of the road of Cap de Creus just before it descends down to the delightful village of Cadaqués where Compartir is the refuge to some of the former El Bulli staff. The winery has a commanding view over the region and their wines are remarkable in holding that true Empordà character which is to say, plenty of body from bountiful sun while at the same time light on the palate from constant gusts of the Tramuntana wind. They're open for tastings, tours of the cellar and vineyards, and also have lovely rooms to rent above the cellar. Of course this started largely due to the family's restaurants, Can Rafa and Casa Anita, and most recently their Enoteca MF down in Cadaqués which are all worthy of a visit. Espelt is better known for their wines produced from the Empordà plain as well as the foothills around Rabós but their vineyards up in Cap de Creus sit in a remarkable position. Bordering the sides of the narrow road that eventually finds its way to the shuttered El Bulli, they find plenty of sea exposure as well as wind that helps circulate and keep these organic vines free of pests. From these vines they will produce a new line of wines tentatively called Mas Marés that you can taste at their cellar near Vilajuïga. Also a very worthwhile stop is their wine museum and tasting room at Coll de Roses just outside of Roses. It's a very historic property with distinct vineyards encircling it that offers those enjoying the beach the chance to pop in for a wine tasting. Hugas de Batlle is in the more northern reaches of Cap de Creus in the village of Colera. Edu Hugas de Batlle's family has long resided in this village and his grandfather worked a small plot of vineyards merely as a hobby. Edu was encouraged by this, bought some old properties up on the steep slopes in 2000 and now produces four wines from these various properties that you can taste in his cellar in the center of the village. Afterwards, a tasty lunch option is the curiously named, Tots Som Pops (We are all Octopuses). This is an excellent moment to take in Cap de Creus as all the recently-planted vines have reached a point where they can produce wines that are emblematic of the region and worthy of notice. For those looking to buy these wines in one spot, charming Bodega Aurora in El Port de la Selva manages to keep all the wines of Cap de Creus as well as the rest of DO Empordà in stock. Or, if you are looking to taste in one location, the wine bar Raspa & Wine at the classic Almadraba Park Hotel in Roses not only has an excellent selection but also a fantastic terrace overlooking the Mediterranean to sit back and enjoy the wines that this beautiful corner of Empordà has come to offer. Miquel Hudin has created the Vinologue book series focusing on travel to wine regions. He also conducts guided tours to Priorat, Montsant and Empordà/Costa Brava.